Find a vacation home to rent in Granvin Municipality from our list of vacation rental properties. Campaya has over 18 vacation homes available in Granvin Municipality, which give you the possibility to locate a unique accommodation in Granvin Municipality which completes your check-list in search for the perfect self catering vacation apartments in Granvin Municipality or vacation villas in Granvin Municipality. A nice holiday house with fantastic views over Espelandsvatnet and the surrounding mountain landscape. Enjoy peaceful days on the large terrace where you find garden furniture and barbecue. Welcome to Granvin and an cozy cottage in the stunning natural surroundings close to the water. This water is good both for fishing and swimming. A nice cabin in beautiful surroundings med a view over the Hardangerfjord. From the cabin it is walking distance to the fjord where you find great opportunities for fishing. 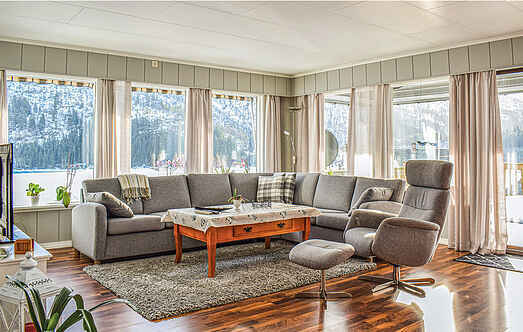 A cozy holiday house located centrally in the small village of Kvanndal, in the inner part of the Hardangerfjord. The house offers a large plot with a nice outdoor area. Welcome to this beautiful holiday house. The house is an old fire house from the 18th century and has a lot of history. Enjoy a self-catering trip at this delightful, architect-designed holiday home surrounded by fruit trees. Situated high up on an uncultivated plot with panoramic views over the fjord. 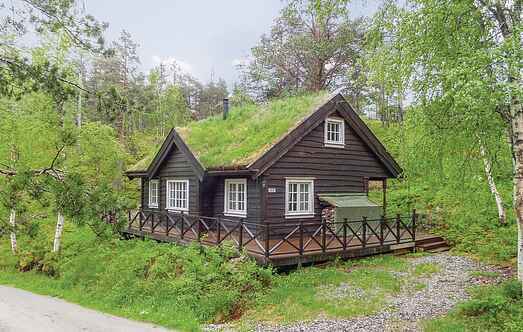 Simple cottage with covered terrace located just down the Hardangerfjord. The cabin has a great view of the fjord and the mighty mountains. Cosy house for quiet holidays on a fruit-growing farm. Angling in fjords, rivers & lakes. Visit Rosendal, Oksen, Voss and the Vøringsfossen. Hems with steep stairs and low headroom. Cottage in nice surroundings overlooking the Hardangerfjord. From the cottage there is walking distance to fishing opportunities in the fjord. Charming farmhouse close to Harangerfjorden. The house has its own, little beach and pier. The house has original details from its origin in the 1800s. Good fishing from land in the fjord. This cottage with landscaped garden is situated in a beautiful location near the Granvinsfjord surrounded by beautiful countryside. Large house with a nice view of the Hardangerfjord and the mighty mountains. Good hiking opportunities in the mountains with several paths within walking distance of the house.